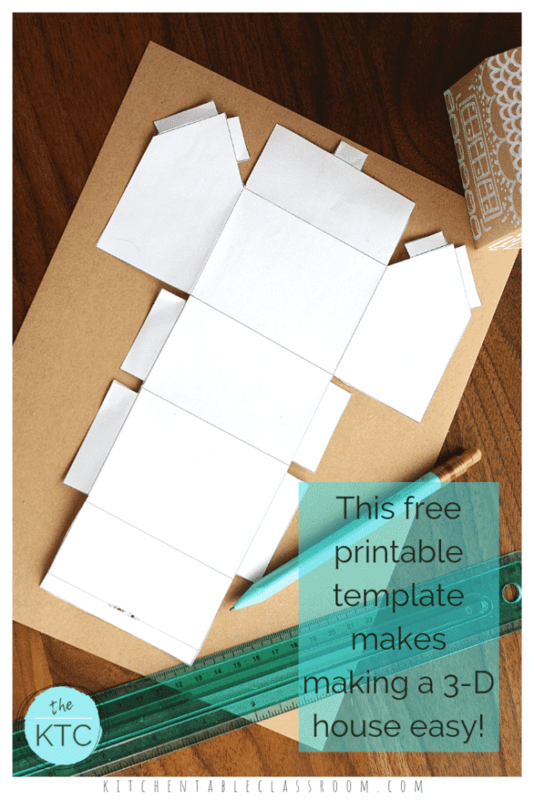 Start with my free printable house template and let your imagination take over. Create a gingerbread house for the holidays or a play city for anytime of year. 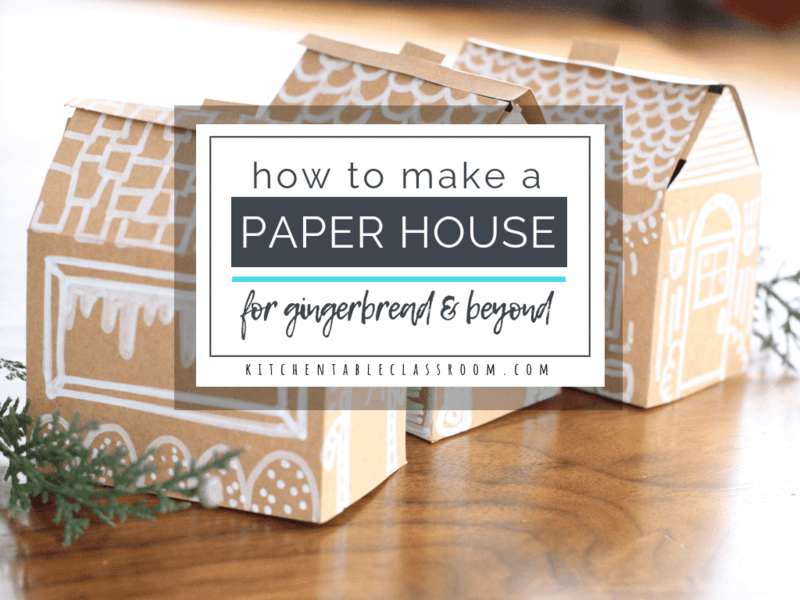 Learn how to make a paper house the easy way! 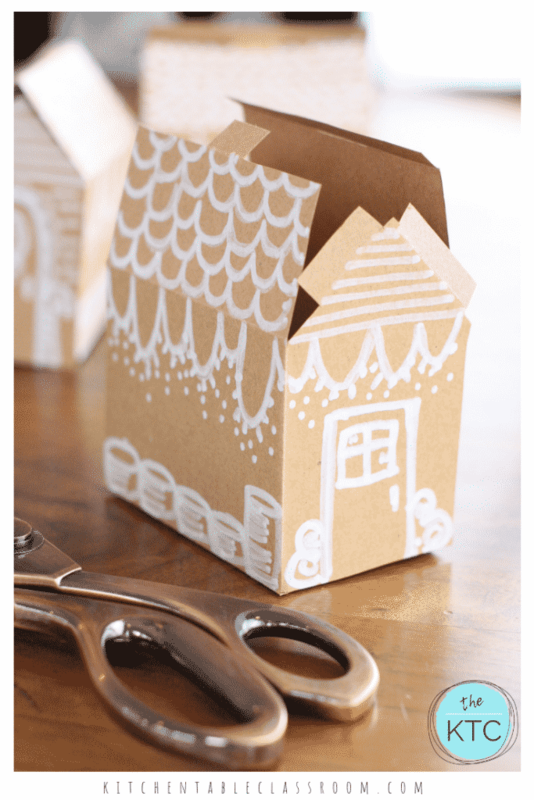 How to make a paper house…. I did the hard work and measuring for you so you and your little people can just design and fold! Okay, admission time. I may have had some help from engineer husband with this house template. My artist brain just doesn’t work in precise corners and measurements like that. But now that all those details are worked out I know your kiddos will enjoy making this paper house as much as we did! I had gingerbread on my mind when creating this house template. This template is pretty flexible. 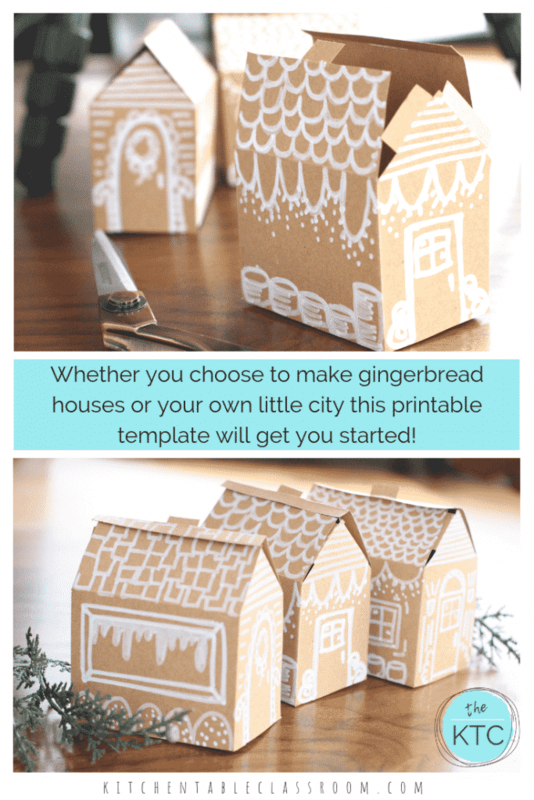 Whether you choose to make a paper gingerbread house or another type of house this template will give you a solid, basic shape. 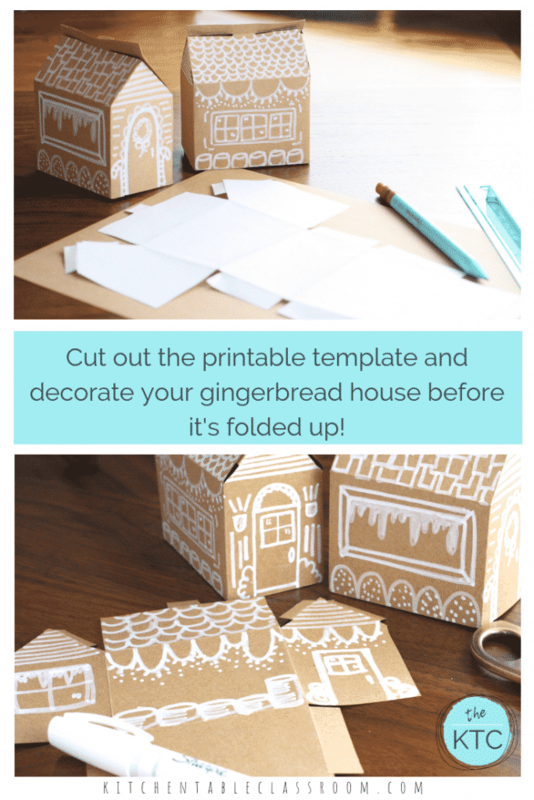 The easiest way to start this project is to print the free printable house template directly onto cardstock in the color you want your paper house to be. I didn’t have access to a printer during “go time” so I used the house template and traced it onto brown cardstock or tag board in a brown color perfect for gingerbread! We tried constructing a paper house out of copy weight paper. While it is possible it is not easy or sturdy! 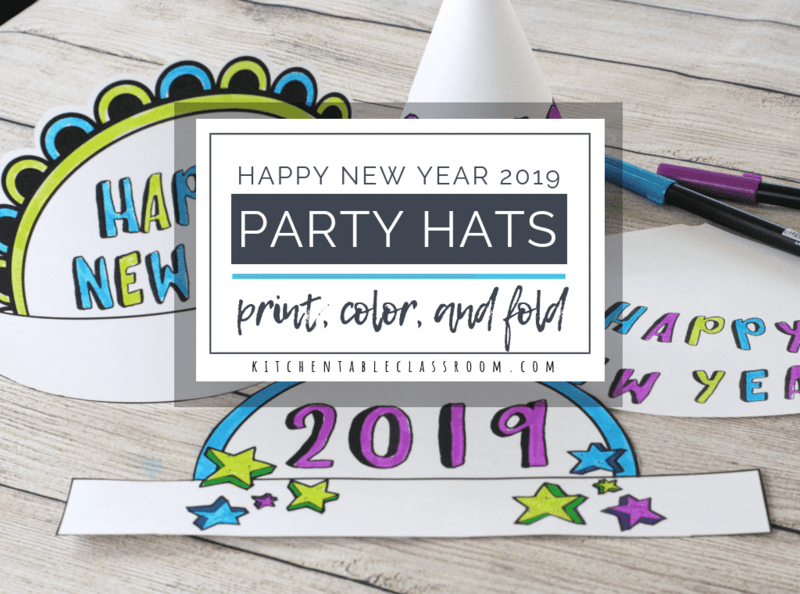 If you want to grab this free printable house template just use the form below to subscribe to the Kitchen Table Classroom. 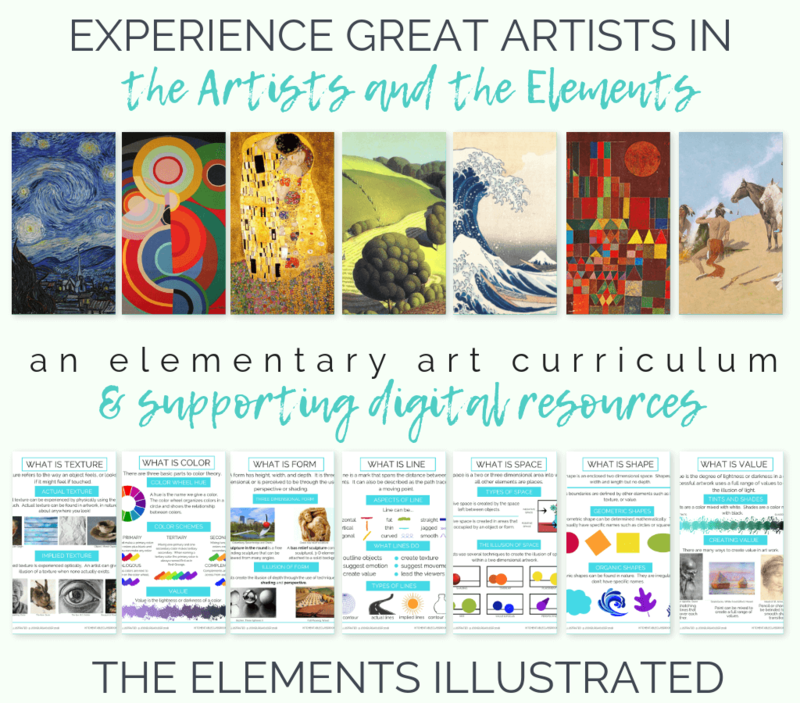 Upon confirming your email you’ll receive a subscriber only password that will give you access to my Free Resource Library. 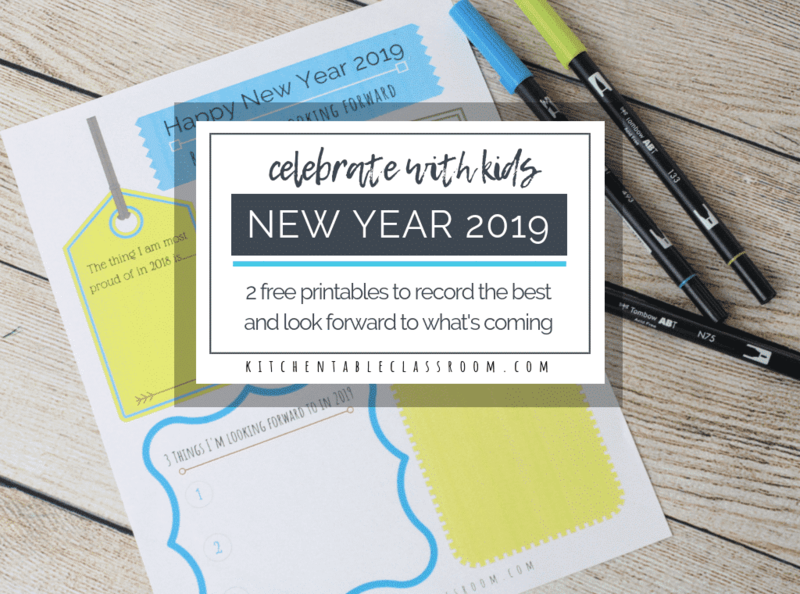 There you’ll be able to find this free printable house template as well as over one hundred other free printables to make teaching fun and easy! 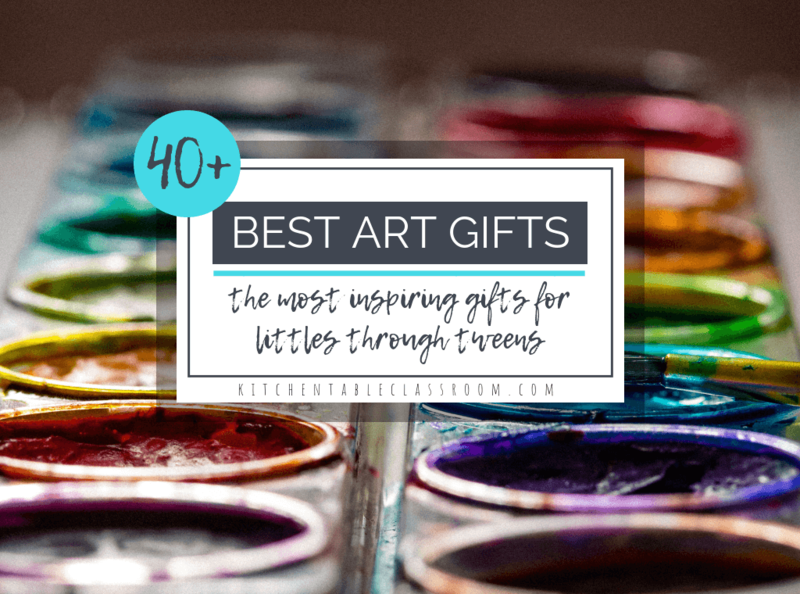 Just look for the thumbnail image of the house template under the heading “Art Tutorials and Printable Prompts,” click, and the PDF will pop right up! I’m not going to lie. Cutting this paper house out accurately will give you a much neater result. You all know I am big fans of “good enough” around here but this step does require a little precision of you want all the parts to match up. I suggest using scissors to cut the house out. Then, with the help of an adult. Use an X-Acto blade to lightly score the interior fold lines. Scoring the cardstock will create a super easy and precise fold without cutting all the way through the paper. I prefer lightly folding all those little tabs and fold lines at this point. It gives a nice breakdown of each shape in the house and will help your young artist know how and where to draw the details. Fold, and then unfold, and allow the house to lay flat. Draw and decorate your paper house before it is folded up. It is much easier to add details while you have a flat surface! We used a white paint marker to simulate the look of the white icing on a gingerbread house but Sharpie markers would also work great here! Encourage your kiddo to turn their house as they work, always keeping mind which side of their paper house is up. Add any and all architectural details like roof lines, windows, and doors. 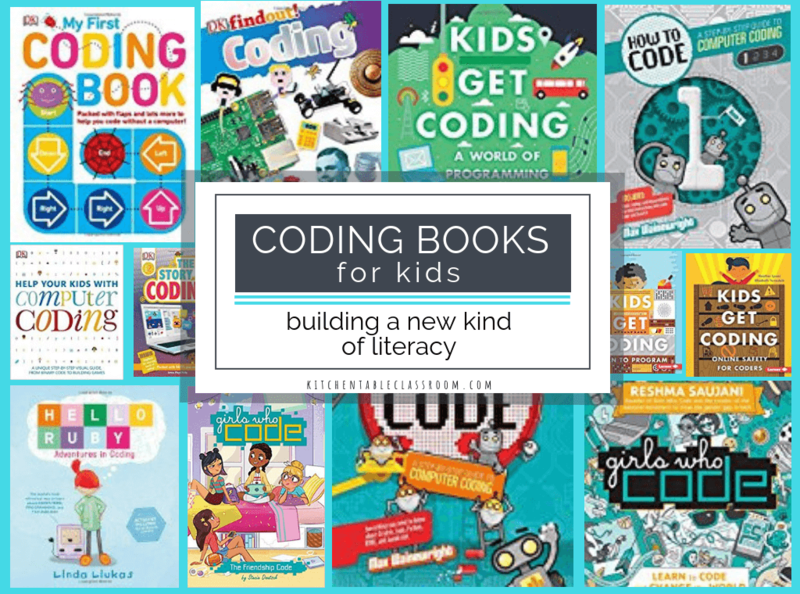 Encourage kids to think outside the box and include some not so serious details as well! So, the decorating is done and it’s time to “build your house.” All of those little tabs you folded, and scored earlier, fold them again and leave them folded. We used tape to construct our house but I think hot glue would be another great option. Use what you have! Apply tape securely to the tabs on the bottom of the house and attach the walls of the house. Keep taping tabs and moving upward. The tabs on the roof can either be taped as previous parts have been or cut a slit and use the tab on the roof as a temporary closure. If you want to be able to open and close your roof this is a great option! The adorableness of these tiny paper houses is just too much. Use them as little treat boxes, make a village, or hang them on your Christmas tree as a tiny gingerbread ornaments. 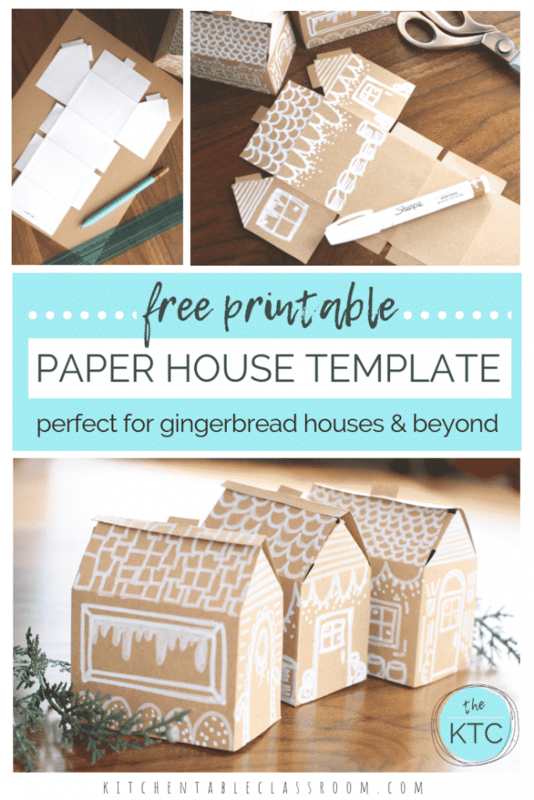 I’d love to know how you and your family use this free printable house template and what your paper houses look like! If you enjoyed learning how to make a paper house please share this post on your favorite social media channel! 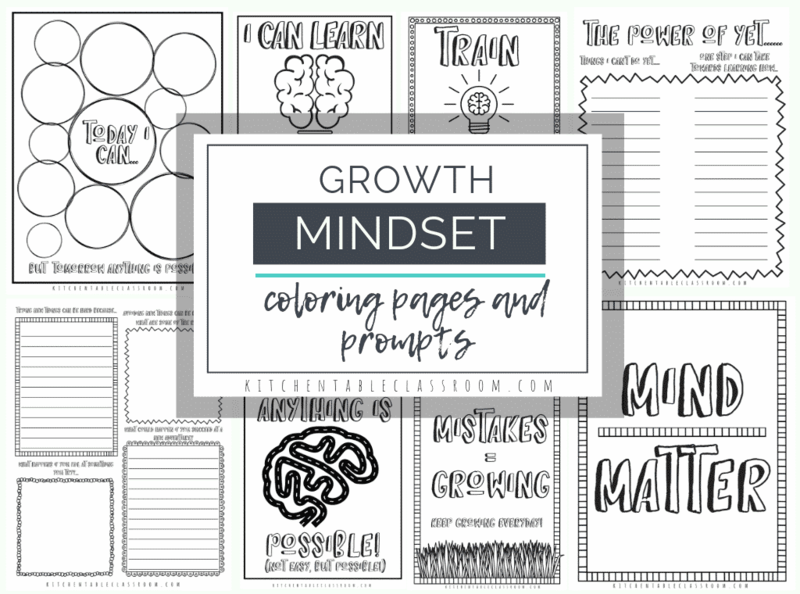 Every single share helps me to bring you more free printable resources and fun projects like this one! I can’t seem to find the template for the house? 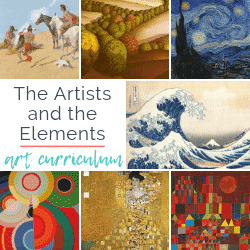 The template is in my Free Resource Library under the heading “Art Tutorials and Printable Prompts.” To get the password to access that page just use a subscribe form in my sidebar or footer. Upon confirming you’ll get an email with a password!